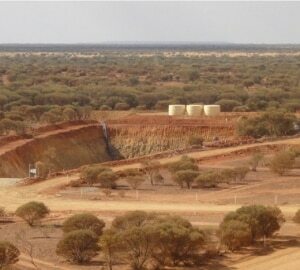 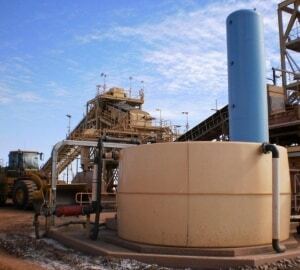 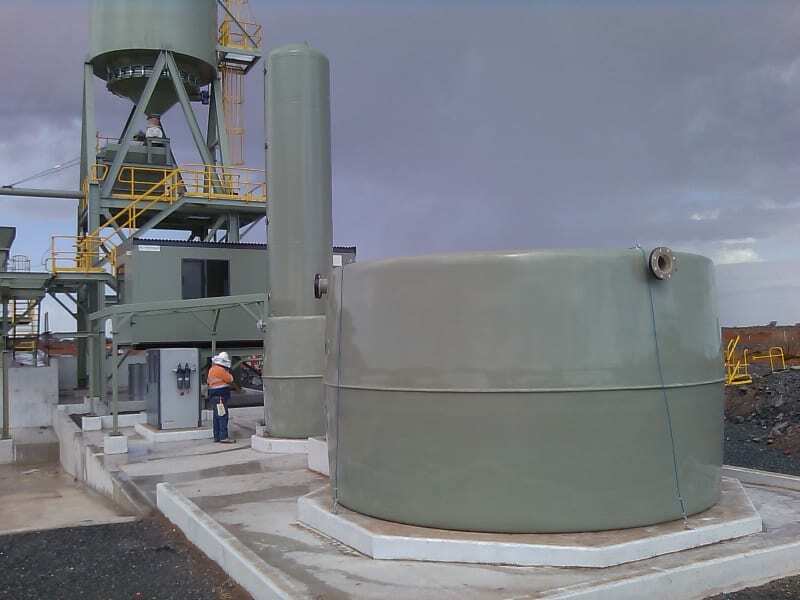 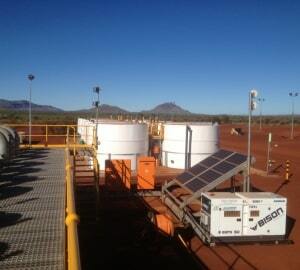 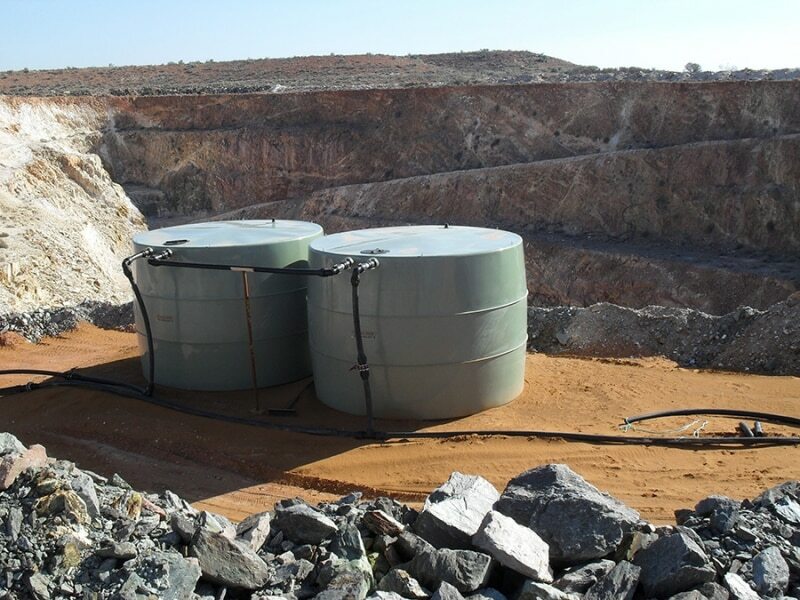 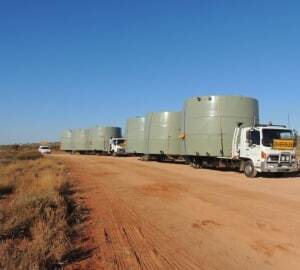 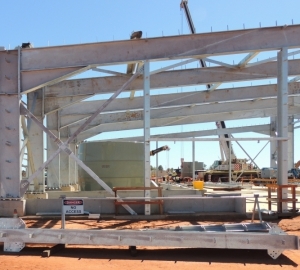 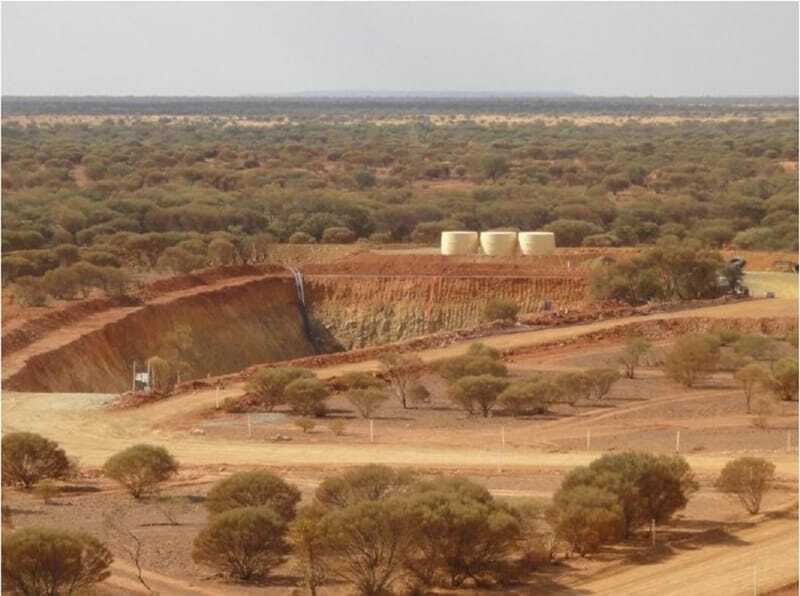 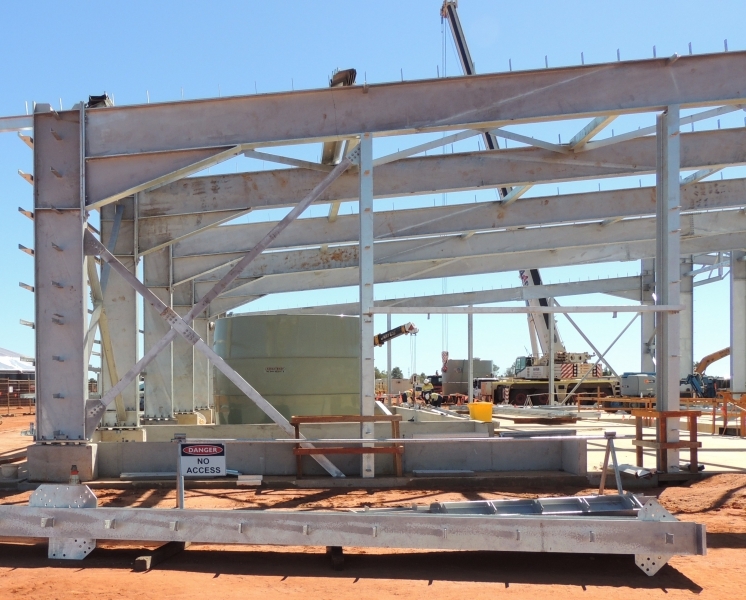 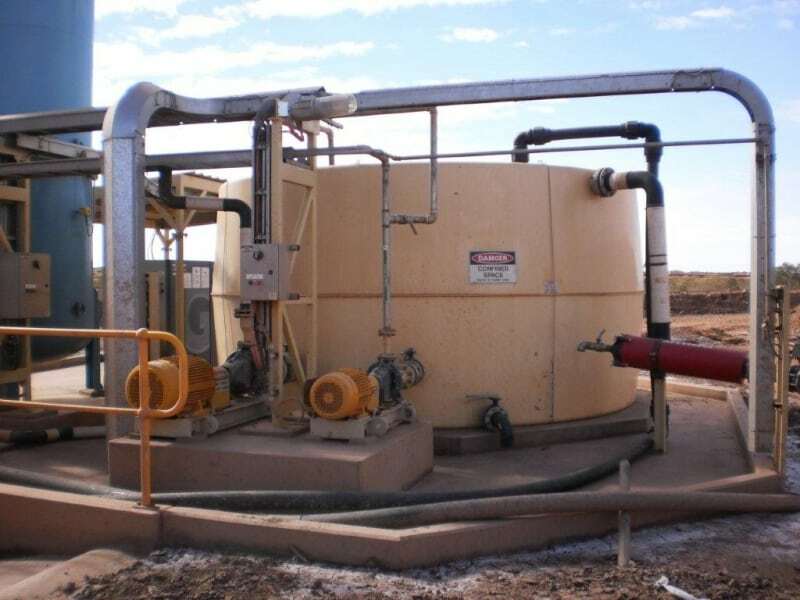 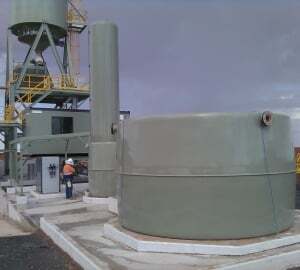 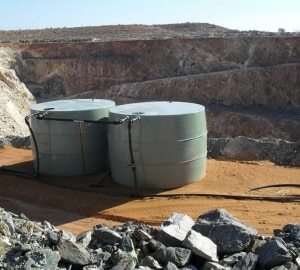 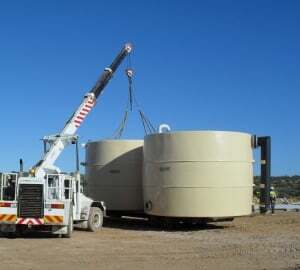 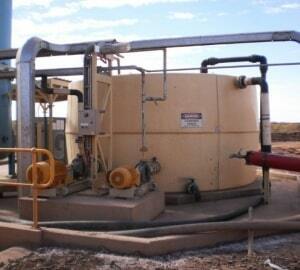 Tanks West understands the requirements of the West Australian mining industry, supplying storage and process tanks to the Pilbara and Eastern Goldfields since 1992. 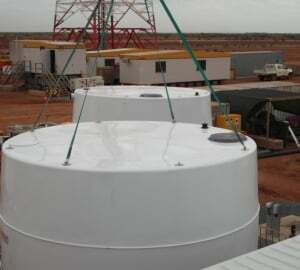 High temperatures, hyper-saline water and cyclonic conditions are all in a days work for these sturdy fibre reinforced plastic (FRP) storage tanks which come in a range of sizes up to 60 cubic metres. 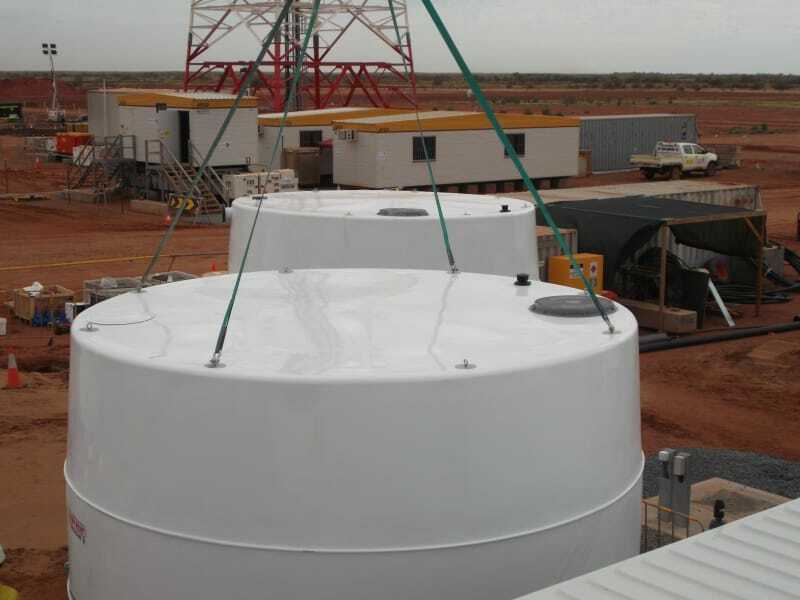 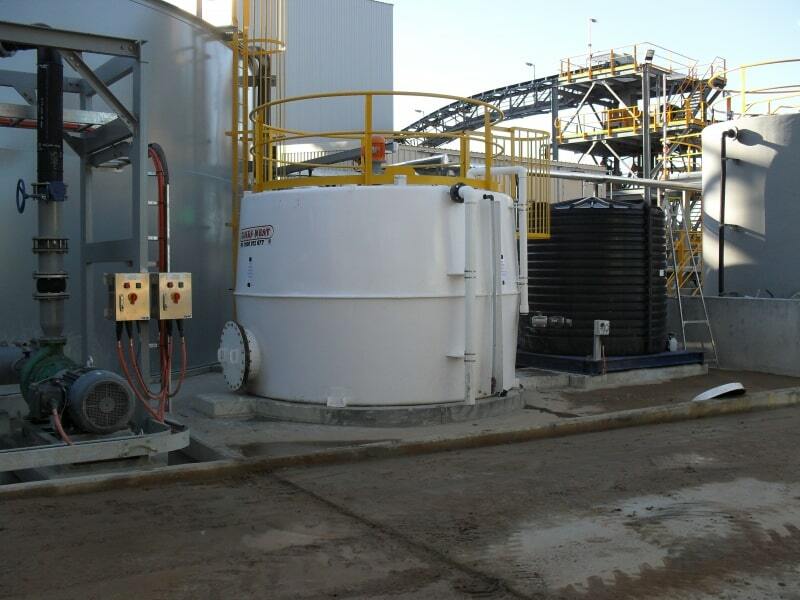 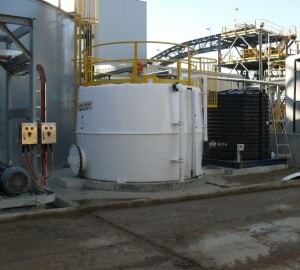 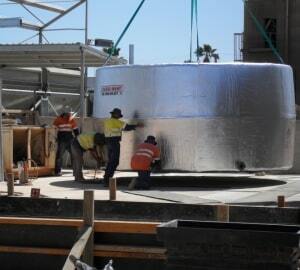 Manufactured in Canning Vale using locally produced resins, the tanks can be load and hydrostatically tested on completion and expeditors are welcome to arrange inspections prior to despatch. 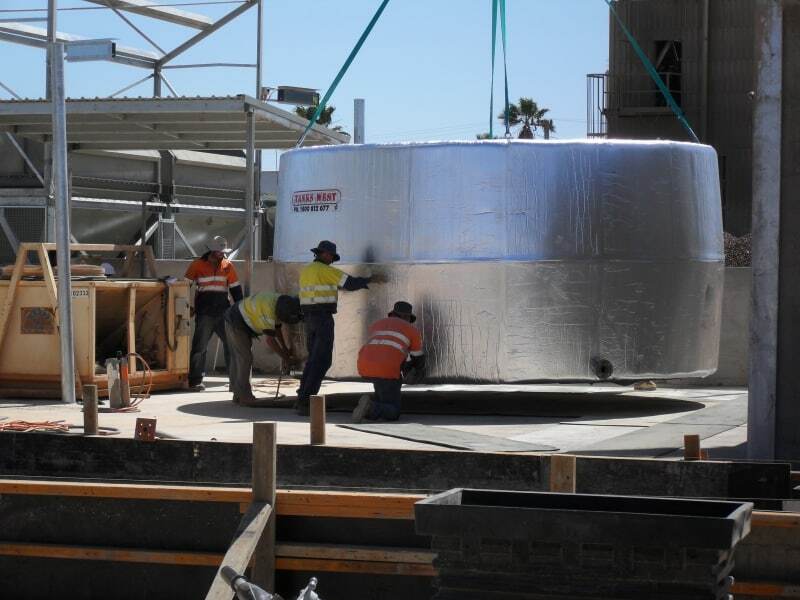 Fitting sizes up to 600mm in a variety of materials (FRP, brass, stainless and polypropylene) can be factory fitted using threaded or flanged connections to suit your specific requirements and reduce the need for on-site labour. 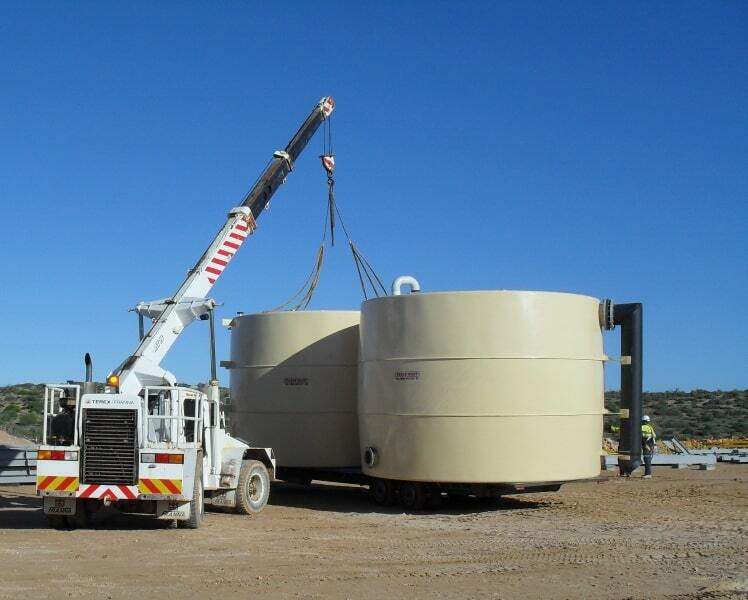 Tanks West can assist with the design of your project application by providing basic schematic drawings and consultations on chemical compatibility and area specific hazards related to temperature and UV exposure. 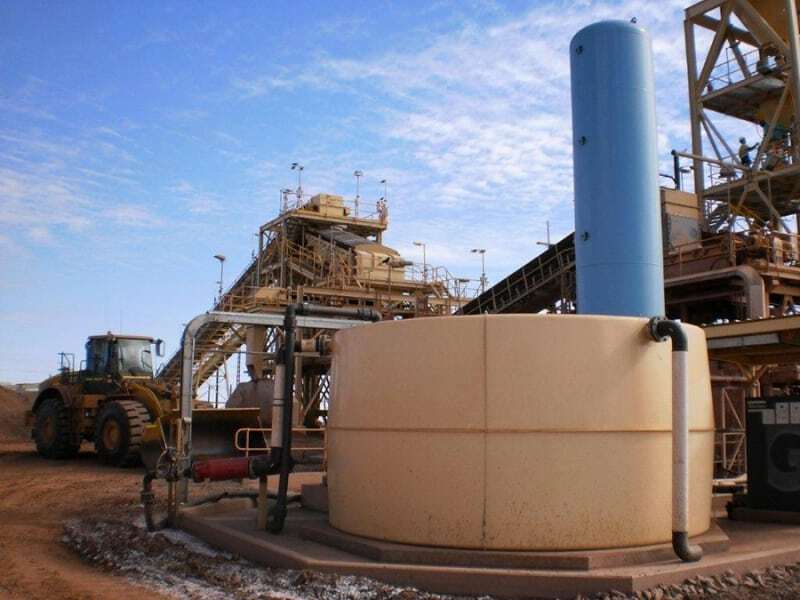 Access to a range of polyester and vinylester resin systems means that while standard tanks are designed for potable water, a wide range of effluents, flocculents and reagents can also be accommodated. 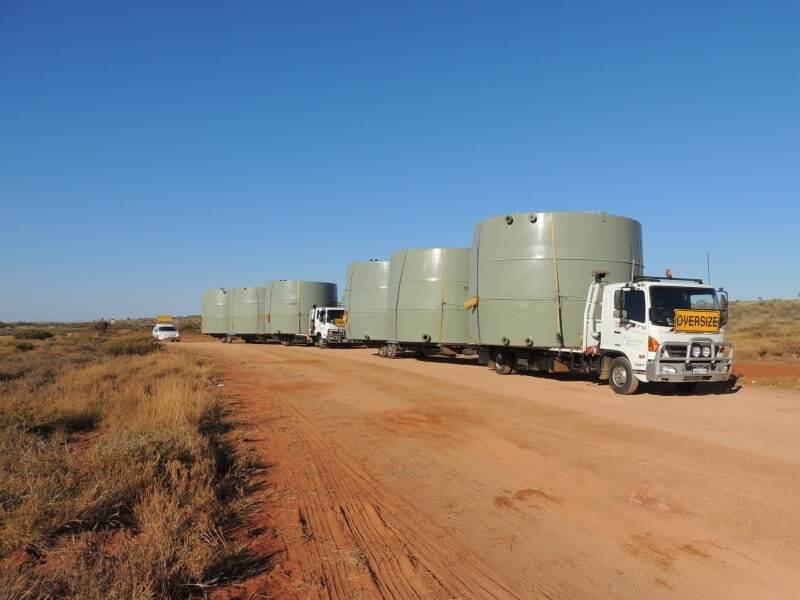 Based in Perth, we operate our own fleet of product-specific delivery vehicles meaning that we can deliver on relatively short lead times to Kalgoorlie, Leonora, Wiluna, Newman, Port Hedland and surrounding areas.